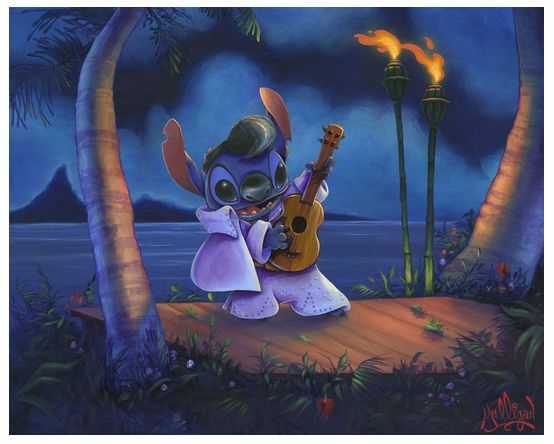 James C. Mulligan Signed and Numbered Limited Edition Hand-Embellished Giclée on Canvas:"Elvis Stitch"
About the Artist: James C. Mulligan (born 1978) is an Irish American artist and actor best known for painting celebrity fine art and commercial murals. Mulligan was born in Rancho Palos Verdes, California. He grew up in Los Angeles and Orange County, California, where he attended High School at Capistrano Valley Christian School and the South Orange County High School of the Arts. He has three brothers, Peter, Sam, and Michael. ACTING CAREER As a child, Mulligan acted in several elementary and high school plays. He had come off the national tour of OLIVER! with Andrea McArdle when he was invited to audition for Saved by The Bell, The New Class. He won the pilot, which spurred a number of television appearances. On stage, his appearances include Jekyll & Hyde, Les Miserables, Miss Saigon, and South Pacific with Reba McEntire. Mulligan currently lives in California, and spends much of his time along the coast, as well as in Las Vegas.